Belle Vue Bed & Breakfast01691 860384work Bed & BreakfastSet in the beautiful Tanat valley, between the lovely villages of Llanrhaeadr-ym-Mochnant and Penybontfawr, this tastefully converted traditional stone barn is available for 4 star self catering holidays and Bed & Breakfast. Both of our B&B rooms are modern, comfortable ensuite rooms with TV/DVD and hot drink facilities, cleaned and serviced daily at no extra charge, and you can enjoy a variety of tasty breakfasts using local produce whenever possible. Friendly helpful service and assistance always available. 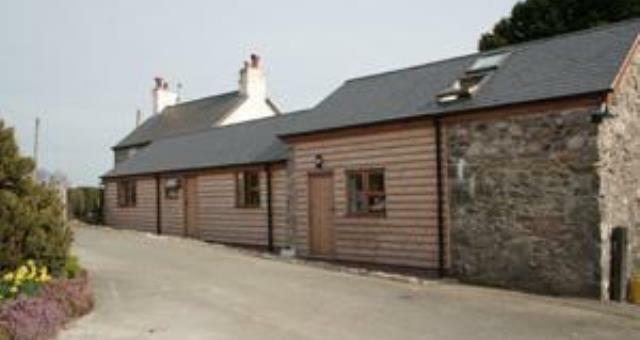 Set in the beautiful Tanat valley, between the lovely villages of Llanrhaeadr-ym-Mochnant and Penybontfawr, this tastefully converted traditional stone barn is available for 4 star self catering holidays and Bed & Breakfast. Both of our B&B rooms are modern, comfortable ensuite rooms with TV/DVD and hot drink facilities, cleaned and serviced daily at no extra charge, and you can enjoy a variety of tasty breakfasts using local produce whenever possible. Friendly helpful service and assistance always available. John & Helen from Bristol - "We have had a lovely relaxing few days and can't wait to visit again." We have 2 ground floor ensuite bedrooms available for Bed & Breakfast accommodation converted from the original barn building, with a guest entrance separate from the owner’s home. Both the double bedroom and the twin are comfortable rooms with ensuite shower room, 22” TV/DVD, facilities for making hot drinks and complimentary toiletries. Breakfast is served in the adjoining guest dining room where guests can choose from a delicious varied menu ranging from full traditional British breakfast to pancakes or pastries. A free DVD and book library are available for guests to enjoy and lots of information about a variety of places to visit nearby. 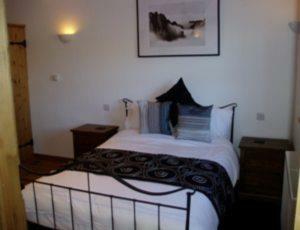 Rooms serviced daily at no extra charge, friendly, helpful service and assistance always available. Packed lunches and flasks are available by prior arrangement at an extra charge Children welcome from any age.